Five time Paralympian / Captain – Australian Men’s Wheelchair Basketball Team. Brad has had the unique opportunity to combine the personal outcome of a work place accident with his studies and continued career as a professional athlete. His role as captain of the Australian Men’s Wheelchair Basketball Team, together with his education, has given him the skills to communicate effectively at all levels. Brad has travelled the world in his pursuit of excellence with the Australian team as well as living and playing basketball in Italy for more than 10 years. He uses these opportunities to engage and inspire. 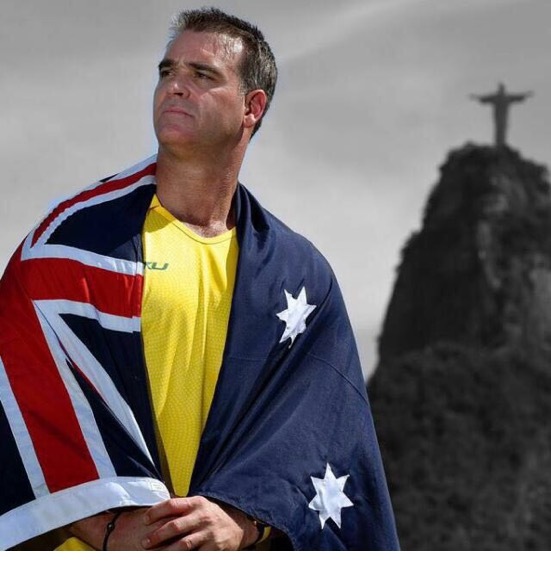 Carried the flag for the Australian Paralympic team at 2016 Rio Paralympics. Gold medal at the Beijing Paralympic Games. Silver medals at Athens and London Paralympic Games. Gold medal World Championships 2010. Winning the Sandy Blythe Medal – Most Valuable Australian Player 2005-2006. Awarded Order of Australia Medal for his Services to Sport 2008. Representing the Australian government at the European Training Sport Centre in Varese, Northern Italy. Invitation to attend the United Nations Laos Anti Mines Convention as mentor to land mine victims. Public Speaker for Accidental Hero Campaign, Victoria WorkCover Authority. Playing basketball in America, Italy, United Kingdom, Japan, Greece, China, Korea, Cyprus, Spain, the Netherlands, Germany, France, Morocco, Thailand and Australia. Brad will bring a fresh perspective to your next function or seminar. He will entertain, inspire and motivate so that audiences leave with a new outlook as to what is truly possible with determination and perseverance. Brendan Moloney, National Sales & Marketing Manager, Toll Global Forwarding. Vince Tassone, General Manager, Group Business Development, Trans Tasman.